Born Miljenko Matijevic on November 30, 1964, in Zagreb, Croatia. He moved to America, with his family, at the young age of six, and began crafting his singing voice. Miljenko knew in his early teens he wanted to be a rock star. He joined a newly formed band named “Red Alert” in the 1980’s who later changed the name to “SteelHeart”. 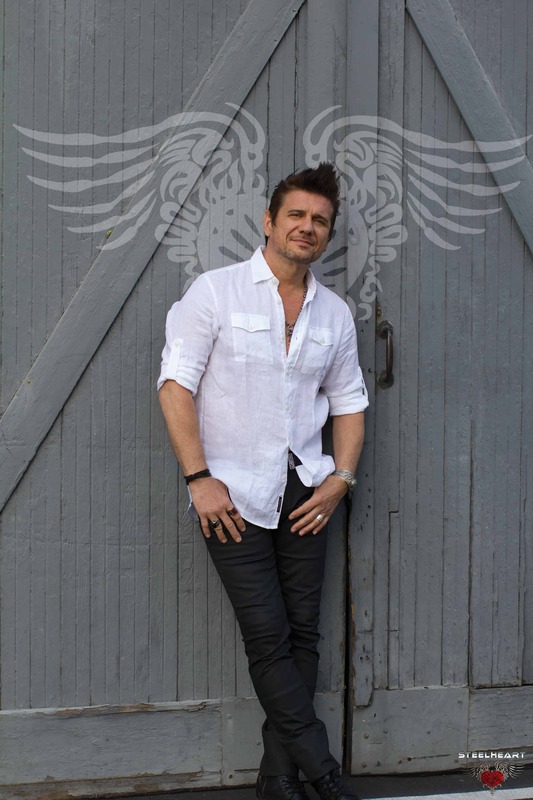 SteelHeart became popular for the multi-octave range of Miljenko’s singing voice, well- crafted melodies, power ballads as well as heavy hitting, hard driving, edgy guitar riffs. Miljenko also was the voice of Mark Wahlberg’s character Chris “Iggy” Cole in the movie Rock Star. At age nine Miljenko began singing in the church choir, and playing country music such as Johnny Cash, and John Denver. However at age eleven he was introduced to Led Zeppelin; that is when his musical journey began to come alive. When Miljenko was thirteen years old he formed a band name “Teaser”, playing covers tunes as well as original music. Despite much interest by producer Morgan Walker, “Teaser” fizzled out. Miljenko joined a band called “The Mission”, at the age of fifteen. He worked very closely with the leader of the band, Elliot Lewis, (who later became a member of “The Average White Band”). Miljenko was now equipped with studio and writing experience. Miljenko, now sixteen years old, joined up with James Ward (Bassist), Chris Risola (Guitar), and Jack Wilkinson (Drums), “Red Alert” was formed. Jack was eventually replaced by John Fowler (Drums), Frank Di Costanzo (Rhythm) was added to form a five-piece. Right after high school Miljenko attended college to major in mechanical engineering. During his second year of college it dawned on him… “I was meant to be a singer”, so Miljenko promptly tossed his books out the second story window and focused all his time and energy on the band. After completing a five song demo, Miljenko, Jimmy Ward and Miljenko’s friend John Belmont travelled to Los Angeles, with one thing in mind… to get a record deal. Within a month they had secured a new manager and a record deal with MCA. Band ultimately changed name from “Red Alert” to “SteelHeart”. SteelHeart’s self titled debut album ‘SteelHeart’ was released in 1990, bringing them almost immediate commercial success, with critics comparing their forceful hard rock sound to Led Zeppelin’s. Since then, Miljenko and band-mates have showcased their broad influences and the raw strength of his vocals; their sound drawing comparisons to hard rock and pop metal greats like Ratt and Whitesnake. The original line up included Miljenko Matijevic (Vox, Guitar, Piano), Chris Risola (Guitar), Frank Di Costanzo (Guitar), James Ward (Bass), and John Fowler (Drums). The guys found themselves hitting the big time as their first album reached #40 on the Billboard 200 chart in 1990, the band’s fan-base growing swiftly around the world. “SteelHeart” sold 33,000 albums on its first day in Japan alone. Before long, the album hit platinum – and its power ballad, “She’s Gone,” hit #1 on the international charts, staying there 17 weeks. The second single, “I’ll Never Let You Go (Angel Eyes)” reached #14 on the Billboard charts. Another song, “Can’t Stop Me Loving’ You” further showcased Miljenko’s vocal range, but this time, Risola’s lead guitar skills were also noticed. SteelHeart’s next effort album-wise, “Tangled In Reins,” released July 10, 1992, had a more mixed eclectic song style. With heavy hitting, hard driving songs like “Loaded Mutha”, “SteelHeart”, “Electric Love Child”, and fun loving “Sticky Side Up,” to tear jerking ballads such as “Mama Don’t You Cry.” to name a few. The song, “SteelHeart” featured Miljenko hitting the highest note of his song catalogue. While the ballad “Mama Don’t You Cry” charted #1 in many East Asian Countries, including Hong Kong, prompting their live unplugged performance in Hong Kong followed by an extensive unplugged tour of Asia in September, 1992. The album did not reap the same commercial success as StealHeart’s debut album, reaching only #144 on Billboard charts, signaling the grunge-sound invasion was starting to take force in the music business. Steelheart was asked by heavy metal band Slaughter to perform a show with them on Oct. 31, 1992, Halloween night. This was to be the 50th show of Steelheart’s last leg of the tour. It turned out to be momentous in a way they didn’t expect as tragedy struck. 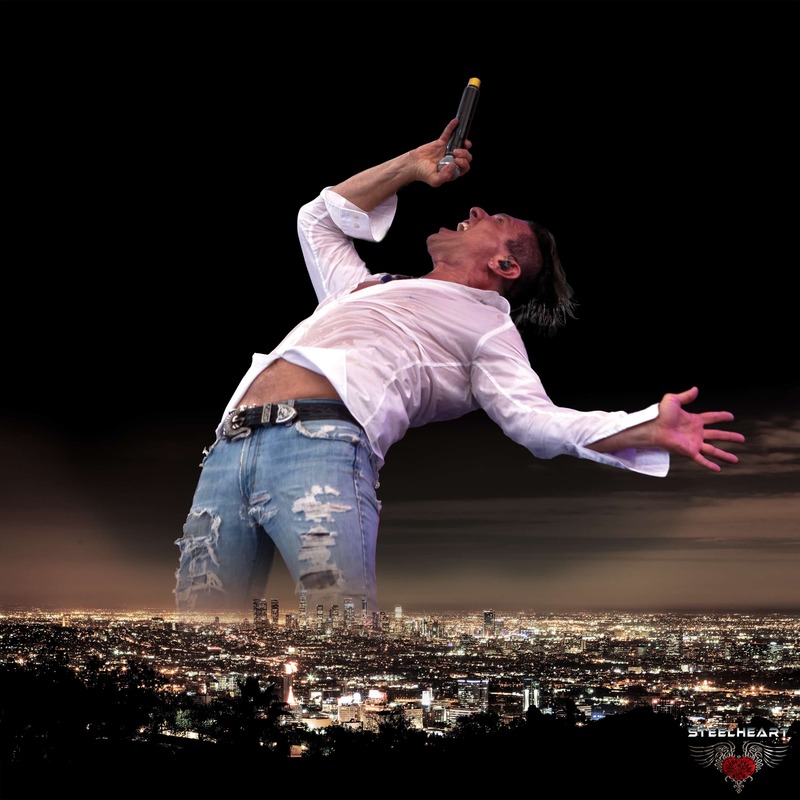 While performing “Dancing in the Fire,” from their “Tangled in Reins” album, Miljenko decided to climb a lighting truss, which was improperly secured, forever changing the lives of Steelheart and their fans. Trying to dodge the massive rig without success, the 1000 pound truss hit the back of his head – hard – driving one of the greatest vocalists of all time face first into the stage: breaking his nose, cheekbone, jaw and twisting his spine. In 2008, Miljenko released “Good 2B Alive,” which he wrote, produced and engineered with producer Kit Woolen. March 16, 2017 SteelHeart signed a new record deal with Italian label “Frontiers Records”. Miljenko wrote and produced SteelHeart’s latest album “Through Worlds of Stardust”, which was released by Frontiers Records on September 6, 2017. Miljenko produced, directed and starred in two music videos, “Lips Of Rain” and “You Got Me Twisted” both songs are cut from the latest album “Through Worlds of Stardust”. The album and videos earned rave reviews from fans and critics alike. • Miljenko played a huge part in the ROCK STAR (2001) movie by lending his voice to Mark Wahlberg’s character Chris Cole in a Steel Dragon cover band and later as his alter ego Chris “Iggy” Cole of Steel Dragon. • In 2010 Miljenko joined Ray Manzerak and Robby Krieger as the lead singer transcending the late Jim Morrison of “The Doors”. Two remarkable tours performing theatres and festivals throughout the US and Europe including a 52 piece orchestra in London, Dublin and Wolverhampton with “The Royal Phil Harmonic Orchestra”. Miljenko delivered a remarkable performance every night with rave reviews. 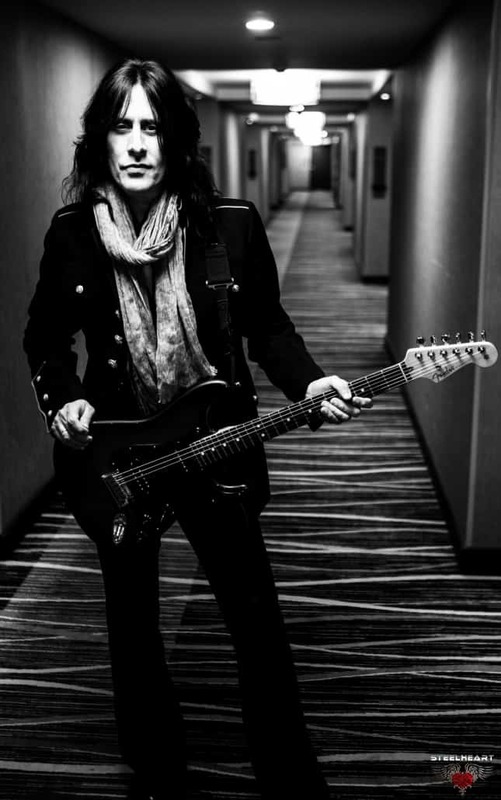 Hailing from Boston, MA, Joe started playing guitar in his early teens inspired by The Beatles, AC/DC, Aerosmith, and Queen. Playing in bands throughout high school lead him to attending Berklee College of Music in Boston where he graduated with a degree in Professional Music. As a member of the bands Dramagods – with Nuno Bettencourt of Extreme / Rihanna, Tantric, the platinum selling band with albums produced by Toby Wright of Alice In Chains fame, and Hurtsmile – featuring Gary Cherone of Extreme and formerly of Van Halen, and currently Steelheart, Joe has toured the US, Europe, Asia, and Australia and performed on national television programs like The Late Show with Craig Ferguson. 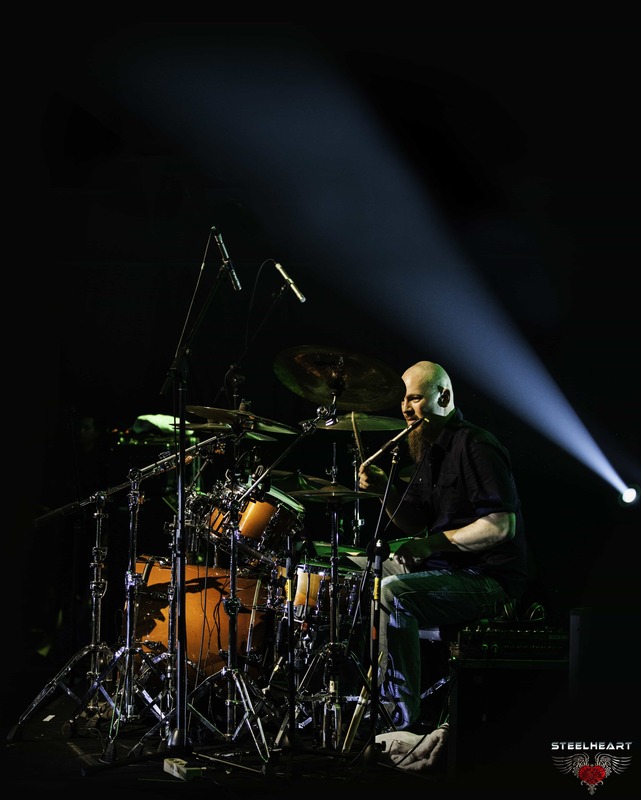 Joe has shared stages with the likes of Perry Farrell of Janes Addiction, Mike Mangini of Dream Theater, George Lynch of Dokken, Michael Anthony of Van Halen, Warren DeMartini of Ratt and has opened for artists such as Alice in Chains, Sammy Hagar, Bret Michaels, Carlos Santana, Jeff Beck, YES, and Judas Priest. 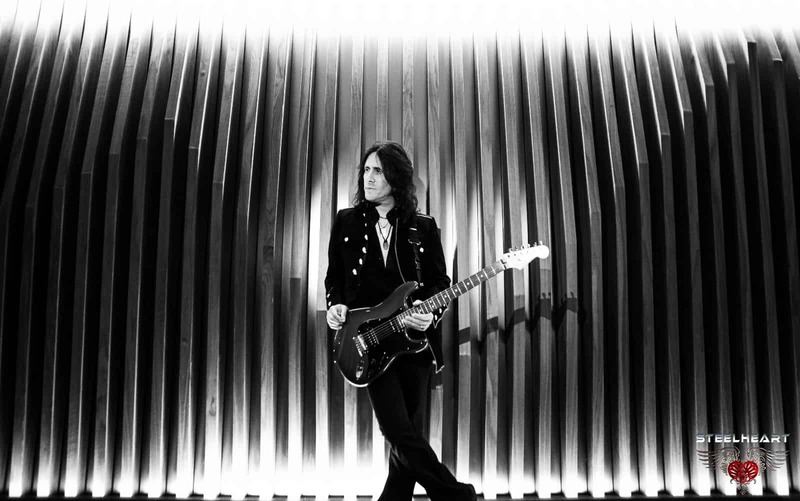 Joe has also collaborated on various albums as a guitarist, bassist, co-writer co-producer, and engineer. His music has been used by ESPN, The NHL, MLB, and on the video game ‘MLB-2K10’ featuring former Tampa Bay Ray’s 3rd baseman Evan Longoria as his walk up music. 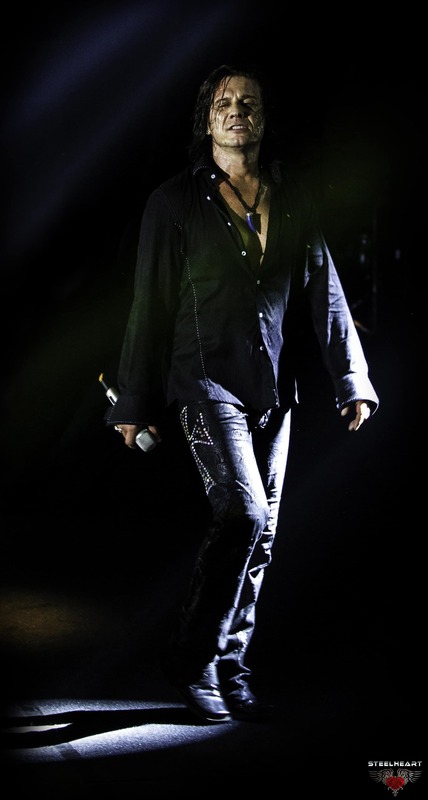 At the age of 18, Marten moved to Los Angeles and joined National Recording artist “Lizzy Borden” where Marten spent the next two decades, recording CDs, appearing at festivals/touring together with bands such as: Deep Purple, Mötley Crue, Dream Theater, Journey, Guns n’ Roses, Ozzy Osbourne, Lordi, Wasp, Dio, Yngwie Malmsteen. In 2008, The song “Tomorrow Never Comes” (co-written by Marten) was nominated for video of the year and the Top Metal Videos on MTV’s Headbangers Ball. In 2003, Marten joined guitarist George Lynch’s band “Lynch Mob”. This collaboration lasted 6 years and included touring, recording and a much talked about ‘marathon tour’ of 27 shows in 30 days and an appearance on The Tonight Show with Jay Leno. Marten collaborated on 2 solo recordings from guitar shredder “Dario Lorina” (Now in Black Label Society) released on Shrapnel Records. Marten is the co-founder/producer of the unique project “From Classical to Rock”, a collaboration of platinum selling rockstars coming together with award winning classical musicians and student orchestras and choirs, benefitting music education programs. 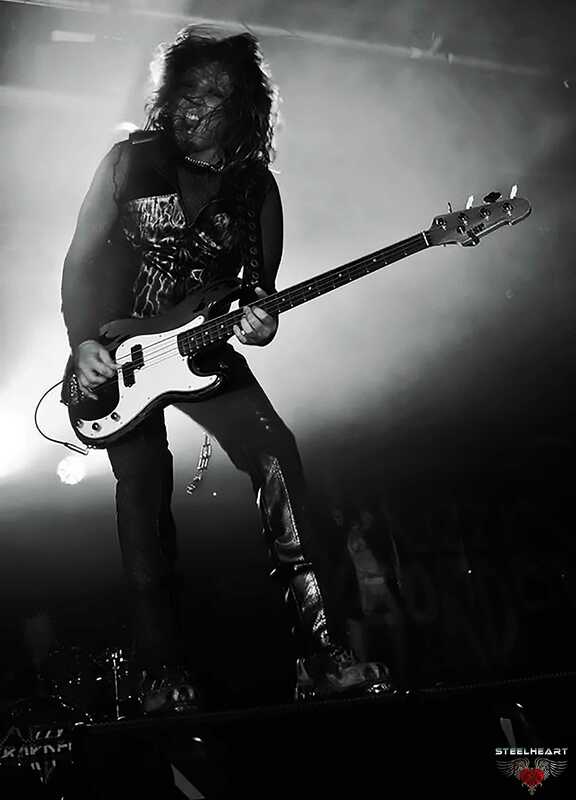 Marten holds bass clinics and master classes. He is the author of the book “Make Label Contact/The Ultimate Source Directory “a reference and musicians guide. This book is widely considered to be the guide for any musician. Marten also has experience as an actor, with smaller roles in movies and TV shows. Marten is the founder and co-owner of the production house Snake City Music Productions (SCM) in Los Angeles. Through SCM, they have scored music for commercials and television (such as cellphone/car companies/ESPN sports channel). Mike was born into a musical family in 1969 in Reading, PA; his parents bought him his first set of drums when he was 10 and would soon be racing home after school to practice to Led Zeppelin, Rush and Frank Zappa’s albums. It wasn’t long before he joined the family wedding band and after high school began playing in local bands, developing reputation for being heavy, groovy and stylistically diverse. This diversity kept Mike in demand in the local music scene, landing him gigs playing in rock bands, show bands, jam bands…and tribute bands covering artists as varied as the Doors, Judas Priest and Amy Winehouse. In 2004 he was introduced to amazing rock singer Miljenko (Michael) Matijevic, singer from the band Steelheart and also singing voice of actor Mark Wahlberg in the movie Rock Star; Matijevic was looking for a drummer to help him begin work on demos for some new songs he had written for his forthcoming album. Mike recorded drums for what would become the 2008 Steelheart album Good 2B Alive and has been a touring and recording member of the band ever since, including Steelheart’s latest 2017 release Through Worlds Of Stardust. Mike uses DW drums, Meinl cymbals and Zildjian sticks. Born Miljenko Matijevic on November 30, 1964, in Zagreb, Croatia. He moved to American, with his family, at the young age of six, and began crafting his singing voice. Miljenko knew in his early teens he wanted to be a rock star. He joined a newly formed band named “Red Alert” in the 1980’s who later changed the name to “SteelHeart”. SteelHeart became popular for the multi-octave range of Miljenko’s singing voice, well- crafted melodies, power ballads as well as heavy hitting, hard driving, edgy guitar riffs. Miljenko also was the voice of Mark Wahlberg’s character Chris “Iggy” Cole in the movie Rock Star. After completing a five song demo, Miljenko, Jimmy Ward and Miljenko’s friend John Belmont travelled to Los Angles, with one thing in mind… to get a record deal. Within a month they had secured a new manager and a record deal with MCA. Band ultimately changed name from “Red Alert” to “SteelHeart”. SteelHeart’s next effort album-wise, “Tangled In Reins,” released July 10, 1992, had a more mixed eclectic song style. With heavy hitting, hard driving songs like “Loaded Mutha”, “SteelHeart”, “Electric Love Child”, and fun loving “Sticky Side Up;” to tear jerking ballads such as “Mama Don’t You Cry.” to name a few. The song, “SteelHeart” featured Miljenko hitting the highest note of his song catalogue. While the ballad “Mama Don’t You Cry” charted #1 in many East Asian Countries, including Hong Kong, prompting their live unplugged performance in Hong Kong followed by an extensive unplugged tour of Asia in September, 1992. The album did not reap the same commercial succDess as StealHeart’s debut album, reaching only D#144 on tRhe BillboAard chartFs, T signaling the grunge-sound invasion was starting to take force in the music business. In 2008, Miljenko released “Good 2B Alive,” which he wrote, produced and engineered with producer Kit Woolen. March 16, 2017 SteelHeart signed a new record deal with Italian label “Frontiers Records”. Miljenko wrote and produced SteelHeart’s latest album “Through The Worlds Of Stardust”, which was released by Frontiers Records on September 6, 2017. Miljenko produced, directed and starred in two music videos, “Lips Of Rain” and “You Got Me Twisted” both songs are cut from the latest album “Through The Worlds Of Stardust”. The album and videos earned rave reviews from fans and critics alike. • Performing on several continents such as Europe, Asia and North America. Early January 2016, Miljenko was in Korea for six months – a country where he’s a super star – performing on various TV shows, festivals including The Dream concert. Miljenko is the only foreign artist ever to perform this concert to a 60,000 audience strong and televised to many countries. Miljenko’s’ performance that night received outstanding reviews with the whole stadium singing the chorus alone. He also penned two songs, one late 2015 and another early 2016, for two of OST Korea tv’s top hit dramas, “My Love Is Gone” and “Stay.” Miljenko then took just one week off from touring/playing Korea to join three festivals in the US and perform at the Hollywood Bowl for the sold- out Los Angeles Korean Times Music Festival on May 7, 2016.